The end of any relationship, divorce or otherwise, can be a bit of a nuclear bomb. By that I mean it can blow up an indefinite number of different relationships in one fell swoop. Not only does a marriage end and a partnership get dissolved, but a tidal wave of irrevocable change ripples out to relationships in every direction. New living arrangements often need to be made. 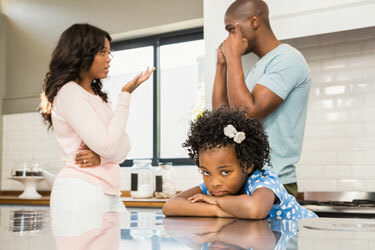 Parent child relationships are altered in ways both big and small. The social circle of mutual friends you have built as a couple implodes. The family bonds you’ve built with extended families are severed. The system of financial support you have come to rely on shifts. And your relationship with yourself and your identity as someone’s partner, friend or co-worker has given way to the need to re-root your life in a purpose that revolves around you and what you came to offer this world. That’s a lot of change created from one event. And the strain of it all can be immense. Breakups, romantic or otherwise, open the door to a total state of re-creation in your life. You are in a position of having to re-create your emotional attachment to someone you once and maybe still love, your physical residence and sense of home and family, your system of financial security, your circle of friends and pretty much everything right down to what you buy at the grocery store. This is a lot to manage, and I don’t recommend trying it on your own. It is very easy when in a state of extreme overwhelm to develop mental and emotional patterns that will diminish the ability of this new chapter in your life to be as fulfilling and healing as it could be. Do you have silent arguments in your head with your ex partner, boss or friend? Do you find yourself overindulging or overcompensating with your kids because you feel guilty for what they are going through? Do you blame the other party for the lion share of what has happened? Are you often wondering what you did wrong to create this situation? Do you feel rejected or ashamed of yourself for this relationship ending? Does a part of you believe it’s too late for you to find the love you deserve? Do you feel abandoned by friends you have “lost” in the course of the separation? Honestly, I could continue to ask questions on this particular front forever. There are so many mental, emotional and spiritual wounds that get ripped open in the aftermath of relationships. But the good news here is that there are equally as many opportunities for healing and growing stronger in your own self. As a child of divorce and a woman who has been divorced three times but is now living in a healthy supportive marriage that brings me so much happiness, I am living proof that the wrong relationships can be stepping stones to more healthy relationship with yourself. And once you create true love, friendship and support with yourself, it is infinitely easier to create it with another. This personal experience, along with a very consciously created path of training that has earned me the titles of certified Radical Forgiveness® Coach, certified Soul Journey’s® Akashic Record Consultant and Heal Your Money Story © Coach and certified Usui Reiki Practitioner allows me to say with confidence that I have what it takes to help you. Together, we will walk step by step through the entangled emotions, sense of victimization and overwhelming task of re-creating yourself that surfaces in the wake of a relationship’s end and help you move into a positive, productive and optimistic relationship with yourself and your new chapter in life. Identify the bigger picture of your life’s path beyond your relationship. Own the empowerment of change by learning to live in and rely on your individuality and self-value. Eradicate the patterns that keep you tied to relationships that can’t sustain you for the long haul. Eliminate the energies of rejection, abandonment and fear and embody those of possibility, empowerment and anticipation. Activate new opportunities and avenues of self-discovery, self-purpose and relationship building. Operate from your new platform in a way that feeds your passions and allows you to live your life’s purpose in a way that fulfills you and makes you happy.